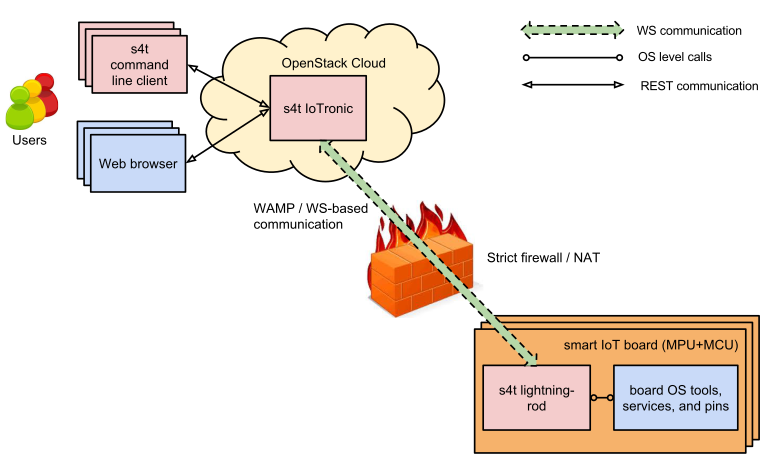 Stack4Things includes an OpenStack-based service called IoTronic and a IoT node-side probe called Lightning-rod. Both components are implemented as open source projects. Stack4Things helps CloudWave administrators in managing IoT device fleets without caring about their physical location, their network configuration, their underlying technology. It is a horizontal solution providing IoT object virtualization, customization, and orchestration.